I got a text message from Uber telling me that I registered with Uber EATS to deliver by bicycle only and their system had detected that I was in fact using a motor bike (lol imagine me driving one of those) I must go back to using a bicycle or risk loosing my account. Having done some research online I read that it was almost impossible to get your account back after Uber had decided that you've broken the rules; but I managed it, most likely because I hadn't broken the rules to start with - although Uber were adamant that I had, it was a very long and hard process to regain access to my account, but a week later, my account had finally been reinstated. In a desperate bid to get it sorted I went online looking for advice or other peoples stories but it was all negative and made me feel worse so I've decided throw a blog post together to tell you how I got my account back and let you know that it is possible assuming that like me, you haven't actually done anything wrong. In my opinion this is the most important thing because the same thing happened to two of my friends the week before and my account was still fixed before there's. I did everything in my power to get my account fixed as soon as possible. I called them up and demanded to speak to a supervisor every. single. day and that took at least half an hour each time. I went to the Greenlight hub and I constantly messaged them through the app until the moment it was sorted. Leading on from this point, it seemed to me that the normal help line staff actually do believe that once you're account is restricted, it's not possible to change it back. I had one after another tell me there is no possible way to fix it; they were all quite obviously wrong. I could tell a few of them thought I was delusional when I mentioned that I had been told otherwise. As soon as I was passed on to a supervisor however, it was a different story. They explained how it worked and had it escalated for me. Although I actually don't think this really helped my case, it did show that I was actively pursuing the issue. I went to the hub, spoke to someone there and was told the same thing - but I had them escalate again. To my knowledge, this was done maybe 5 times although I don't know how many were truly escalated because I only got escalation message a couple of hours before it was finally reactivated so just keep pushing. Half way through the process, they asked me to send in photos of my bike and its reference number to "provide proof" so of course I did that the second they asked but I decided that if they wanted proof, I was going to give them as much proof as I had. 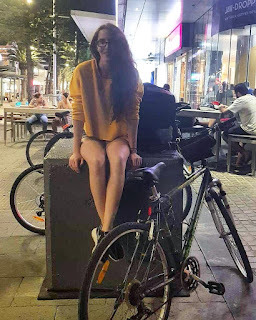 I sent them photos I posted on social media of me and my bike with my Uber bag and also blog posts I wrote in the past, about how much I loved doing Uber EATS on my bike. At times I did feel like it wasn't going to happen and I really was heartbroken about it. I felt like I was being a pain and they were going to block my number altogether in the end because I was literally going on and on and on every day. As frustrating as it was being put on hold for 15 minute at a time to then be told that they are not going to fix my account, it was important to stay calm and not get angry at anyone. I had to remember, I had done nothing wrong. They had unfairly dismissed me and I deserved my account back so I kept going until it was fixed. I was on first name terms with my local supervisor by the end and he apologised profusely on our last call. In the end, it took 6 days (over 2 weeks for my friends who I mentioned earlier); that's almost a whole week without any money coming in (probably around about $150 for me, which is what I pay for a weeks rent - very annoying) and a whole lot of stress but I was so happy when it was fixed that I didn't care - I went back on the road as soon as I found out. If you have not done anything wrong do not lose hope! This infographic from Viessmann points out, that a return flight from London to Hong Kong uses 3.4 tonnes of C02 and that's a pretty big contribution to anyone's carbon footprint, let alone someone who likes to spend as much time in Asia as I do. With its hole in the Ozone and huge parts of the great barrier reef dying, Australia, where I'm heading to this time, knows more than most places, the effects of high C02 levels and global warming. There are loads of ways for us to cut our C02 levels, be it replacing an old boiler, or in my case, trying to reduce my number of flights. With so many places that I want to see, I'd be flying forward and backwards all the time if I did them separately but doing an extended trip, with just two long haul flights at either end (and then mostly land travel in between) is great because I still get to see lots of different places but I leave make less of an impact on the planet! One of the problems I do encounter with a longer trip though is what and how much, to pack! My latest adventure, back to Oz will be the third time that I've had to pack a carry on suitcase for an extended trip and out of the three it was the hardest. The first time I had no idea I was doing, I definitely didn't pack enough but that was fine because I didn't care what I looked like when I was backpacking, it was hot and I was either drunk or hungover most of the time; plus it was my first trip and I was excited to buy the singlets and elephant pants. The second time, was three weeks after I got home from my first trip and I was so desperate to get back to the Thai sunshine, that I didn't even unpack; just pulled out the things that I didn't use and left with less that 6kgs of stuff. This time I'm going straight to Oz and having spent 6 months there already, I have a little bit more of an idea of what I want to take back with me. Hopefully it'll be useful knowledge for anyone struggling with what to pack for their own trip! I know it's very hot there, I know I want to work in office and I know I'll probably be quite active to; so I've decided to split my packing into 4 different options, day, night, work and gym. More basically, I'll need smart(ish) & casual. For the day, I want tops that work for the gym and for the sunshine - both mean I'm going to get quite hot so I'm looking at light, floaty materials and cropped shapes. I'm also taking some cute cami's that will work for both the day and night depending what I pair them with. It's important to pack things that are versatile. It's kinda like a 6 month capsule wardrobe. - 2 oversized t-shirts - when I cant be bothered to get dressed. I'm taking mostly shorts because that's what I wore most last time with my active lifestyle in Oz. These don't really work very well for smart occassions so I'm taking a black skirt as officewear too. - 1 cycle shorts - in case I fancy doing some more Uber. This is something I really missed wearing on my last trip since I only took 2 to Thailand. I often found myself wishing I had brought more because they look like I've put a bit more effort in and they are just so easy to throw on. - 3 light, floaty dresses that work for day, night and casual office work. Last time I left the UK with a pair of trainers and a pair of flip flops. I came back a year later with six pairs of shoes so I need to be prepared this time. - Minimal mini toiletries - just so I can brush my teeth & shower when I get there. - Backpack - mostly for the plane - snacks, laptop, passport. - Rain coat - it rains alot in Queensland. For me, this is overpacking and I would never have packed this much for my Asia trips - I literally went there for 3 t-shirts, but I feel like I can take a bit more if I'm looking to settle in one place for longer. Although the weight is a bit more, with the help of my packing cubes, it all literally takes up exactly the same amount of space so why not?! They do an amazing job of getting everything compressed and into your suitcase neatly. I got mine on Ebay for £5 and I wouldn't travel without them now. I hope this has been useful if any of you are off to Oz! 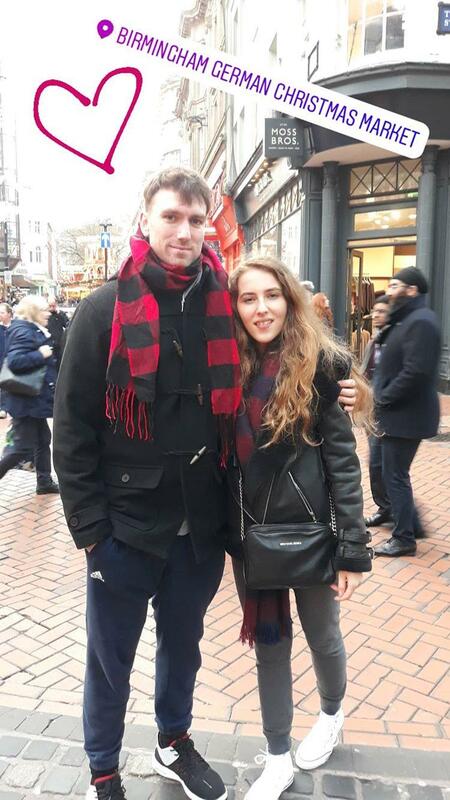 Two weeks ago, I took a 29 hour journey from London to Brisbane and spent the week there solo, before meeting up with Jonny after our month apart. Brisbane was the cheapest place in Australia to fly in to which worked for me as that was exactly where I wanted to go. I flew from from Heathrow, via Manila with Philippines airlines and I can 100% recommend them. The food, service and selection of films were all really good plus I liked that you get a little amenity pouch even in economy. My favourite thing however, was that the first 14 hour leg of my journey only had 99 people on board so we got a whole row each and I slept for a solid 10 hours. That being said, I had some of the worse jet-lag of my life so ended up spending quite a lot of that week in bed, although, as it slowly started to subside, I was been able to get out and explore the city a little bit more. Apart from accommodation, I've spent less than $70 so in this post, I wanted to share some of the ways I've kept spending to a minimum. First things first, accommodation. Hostels in Oz are much more expensive than in Asia, you're looking at $25-$30 per night and for the same price, you could rent a room in an apartment for a week. I searched Facebook for groups like Brisbane flatmates hub and sorted it all out before I arrived. It meant I had my own air conditioned, en suite room and a kitchen, complete with beautiful engineered wood flooring to cook my own food in, just a 20 minute walk into the city centre. There were 4 other people living in the apartment from all over the world and we spent a could of nights drinking out on the balcony which was really nice. Another great thing about being in an apartment block was that it also gave me access to a private pool and a little gym which I took full advantage of! 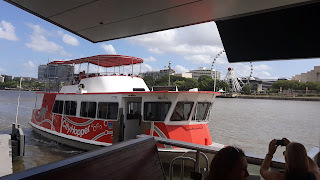 The city hopper ferry is a free service that runs along the river and stops in the main parts of town. Not only is it great, free public transport but for a tourist, it's a super fun, cheap way to see the city. With an open top to sit at so I ran up there as soon as I got on. I accidentally stumbled across different markets almost every day. There was a cute craft one that runs over the weekend on the South bank which had a really lovely atmosphere, it was lined with bars and restaurants and everyone was outside in the sunshine enjoying themselves. Then there was the food market just by North Quay ferry terminal which seems to be where they have different markets every day. 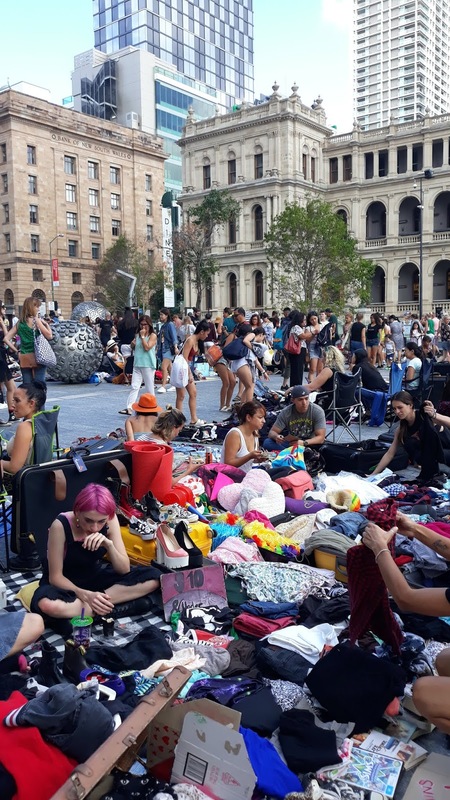 The 2nd I spotted on my way back from the ferry terminal - I walked past to see hundreds of students and backpacker types set up on the floor with clothes literally everywhere. After a little bit of research, I learned that it was the suitcase rummage sale which is held on the first and third Sunday of each month. Most pieces were going for $5 each (£2.50) and I very nearly bought myself a pair of Gymshark leggings for $3 but I'm trying to travel light so I resisted. This is one of Brisbane's most famous areas and really is worth a visit. 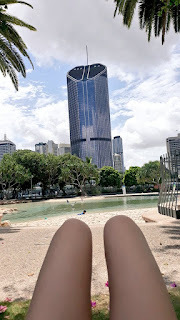 The coolest part was definitely Streets Beach - a man made beach in the middle of the city and it's pretty unique, I've never seen anything like it. There is also where you'll find the Brisbane wheel, a whole load of bars and restaurants and also a load of free events. Something else I thought was really pretty was a big steel structure that ran along the walkway down to the beach. It's called The Arbour and was covered in beautiful pink flowers, it was like something out of Alice in wonderland. 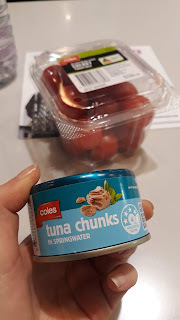 This one has saved me a lot of money although I don't know if I would have necessarily stuck to supermarkets as much as I did, had I not been too jet lagged to enjoy food properly. 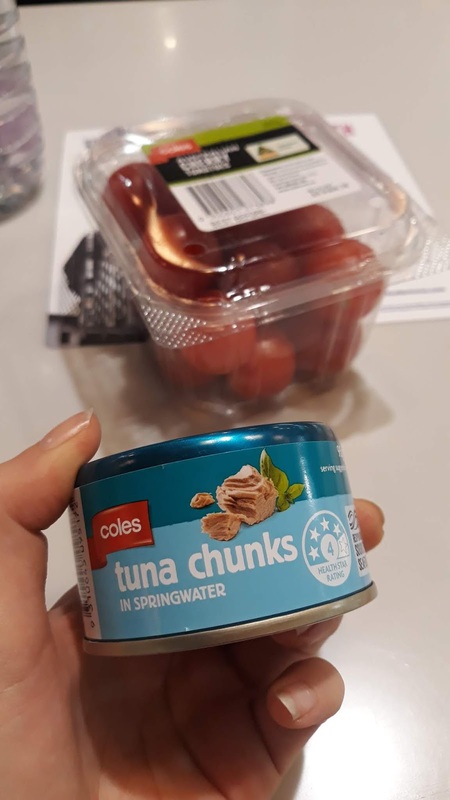 Apart from a smoothie bowl and a cheeky Maccas (or two), I ate every meal from the supermarket and that was the only money I actually spent. After 24 hours in the air on our way home from Australia, Jonny and I landed back in London for a brief evening before our annual family trip to Birmingham commenced. 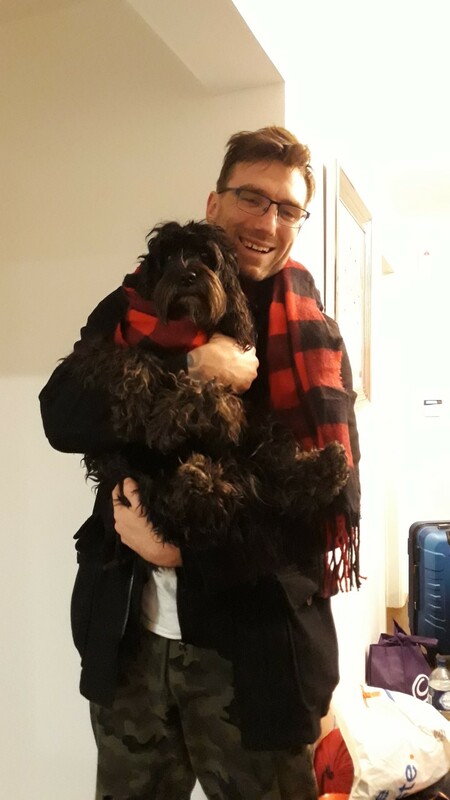 My brothers both go to university there so it's been a road trip that I look forward to every year for a while now - plus this time, we had Molly with us. My post about our recent visit seemed like the perfect opportunity to collaborate with Lease Car and their BMW contract hire! They created this infographic which discusses some of the best places to drive in the UK and hence, this blog post, about one of my favourite UK road trips, was born! We went just before Christmas so our first stop was the Christmas market for some lunch but since I'm a bit late getting this post up, I'm just going to share the things that you can do year round! Over the past few years, we've stayed in different hotels around the city but since there were a few more of us this year, we decided to try something different and went for an apartment. Saco are a brand I've stayed with before in London so I knew the one my mum picked was going to be nice. With two bedrooms and two bathrooms, a kitchen, living area and a huge balcony looking over Birmingham, it was just what we wanted. Our apartment block was just down the road from Brindley place which is one of our favourite parts of the city. It's an area of bars and restaurants lining the canal and such a lovely place to spend the evening so of course it was our first choice when deciding where to spend my dads birthday. We started with a round of cocktails at Pitcher and Piano then went further down to a restaurant called The Canal House for dinner. 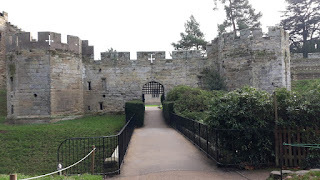 The castle is about 30 minutes drive from Birmingham city and a fun way to spend a few hours if you have a car. 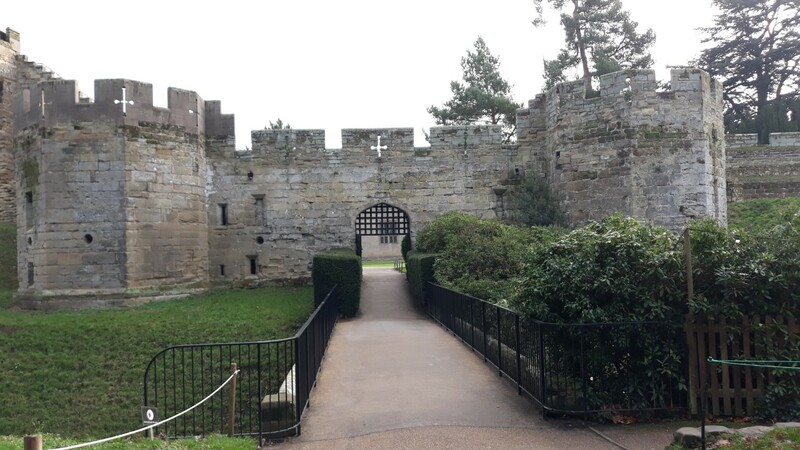 We wandered around the grounds, watched the birds of prey show which was pretty cool and finished our visit with a guided tour of the rooms inside the castle. Just outside the castle is the cafe in a cute, little, crooked cottage and the perfect place for lunch! The owners told us that the place is haunted and the room that we were in once caught fire with no other explanation than paranormal activity; but that didn't put us off, it was super cute and very cosy after a cold morning. 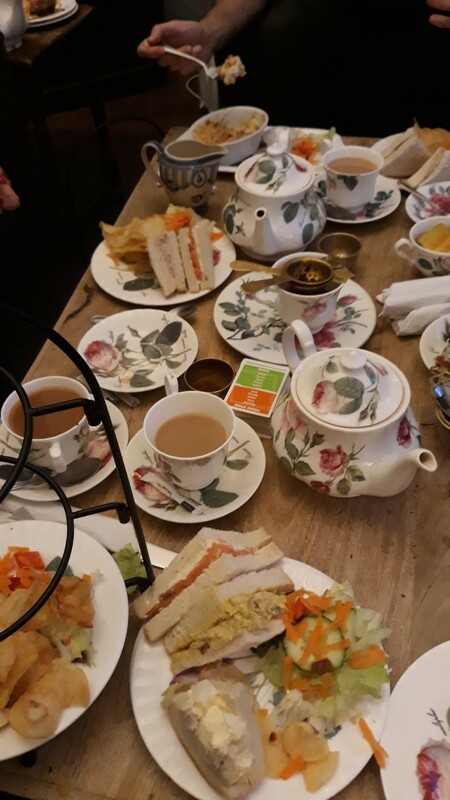 With a whole shelf of board games and the table soon filling up with teapots, finger sandwiches and sweet treats, we had a lovely afternoon stuffing our faces and playing taboo. Coming back in time for Christmas meant getting used to the weather and as per usual, I was freezing. 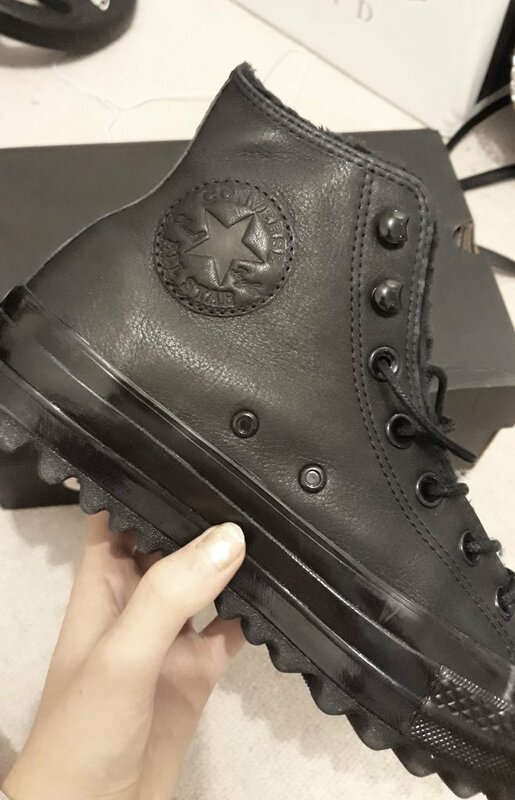 Luckily, my feet weren't a problem because I took part in a Secret Santa with Jake Shoes and arrived home to the ultimate winter pair of Converse. I love Converse and had been travelling in the same pair since I left in January; they were literally falling apart by the time I got back to England so Roxii (aka my secret Santa) did well with this pair! Black all over and perfectly amped up for winter with a leather outer, cleated soles and fur lining. I haven't taken them off since I've been back! 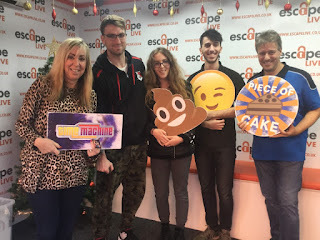 My brother works at Escape Live in Birmingham and he wanted us to see their new room so we went along and spent the morning trying to escape from a time travel disaster. We managed it with 3 seconds to spare.. much more successful (and actually a much more enjoyable experience) than my last escape room experience! Our last stop of the weekend was Cadbury World! We were actually a little bit disappointing with their service - they kinda rushed us through - but anything involving lots of chocolate is still lots of fun! Having gone a little bit mad in the shop at the end, we left with bags and bags of discount chocolate just before Christmas so it wasn't all bad. And after that, our trip came to and end! Stopping to pick Molly up from my other brothers house, we made our way back home ready for our next adventure a few days later; December was a busy month! Before I left to go traveling, Soho was where I spent all of my time. 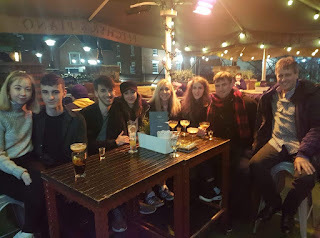 I worked there, I went out after work there and I went back at the weekends too, so when an email came through asking me how I'd choose to spend a day in the area, it was the perfect opportunity for me to reconnect with my favourite part of town. Soho covers the area between Oxford Circus, Tottenham Court Road and Picadilly Circus stations meaning it's is easily accessed from the Central, Northern and Picadilly lines. If you're not a local, I'd recommend staying in one of the many hotels in Soho; you'll be able to walk out of your front door, right in on the action. I started my day with a trip to the gym as it's something I've really been enjoying lately. I never know what part of London I'm going to be in so instead of signing up, I just pick up a day pass as and when. 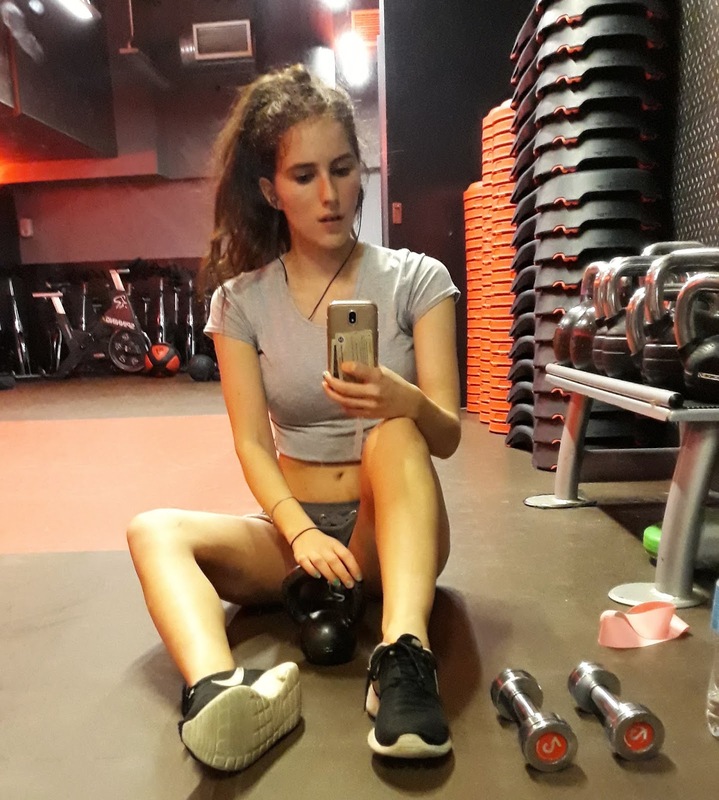 Fitness First have well equipped gyms all over London and it was super easy to just purchase a day pass. Their Kingly Street one was in a great location just behind Kingly court and very close to Oxford Street station. The Carnaby Street and Kingly Court area is a must visit if you're in Soho and that's where I spent most of my day. Just outside of the gym was a very well placed, healthy restaurant: The Detox Kitchen. I grabbed a baked salmon and lentil and kale salad for lunch. I don't think there's been a day when I have gone into town and not looked in a few shops before I came home. 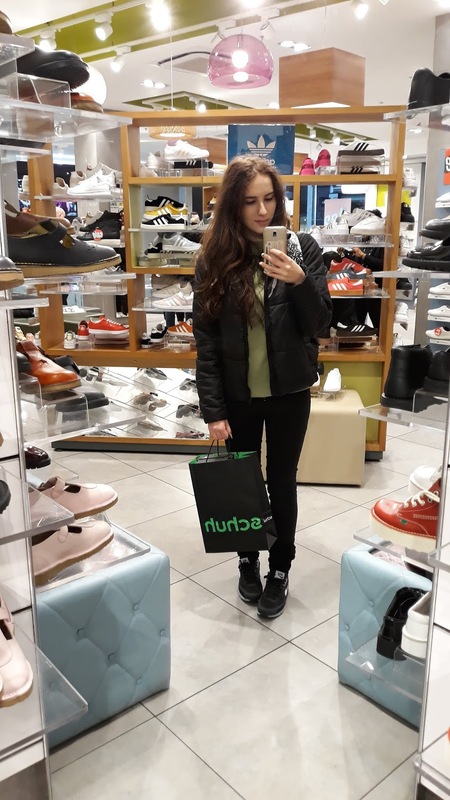 With Oxford Street being one of London's most famous shopping areas, I hit up the shoe shops in search of a new pair of Converse. If you are heading home on a train, don't forget about rush hour! I decided to head home at about 3pm to ensure a nice calm journey because I know from prior experience just how crazy it gets after 5.30pm. Beware, they often close Oxford Street station due to overcrowding. If you don't fancy heading home that early, then stay out until a bit later on; it's the perfect excuse for a couple of happy hour cocktails!